Disneyland’s version of Star Wars: Galaxy’s Edge is set to open summer 2019 while Disney World’s will open in late fall 2019. Construction for both park expansions have been underway since April 2016. The land is themed around a new planet called Batuu. Disney says it’s their largest single-themed land expansions and most ambitious project to date that will also be very immersive to guests. When you enter Star Wars: Galaxy’s Edge, it is meant to feel like you’re stepping into the Star Wars universe. Instead of the usual Disney Cast Members, there will be locals and smugglers that inhabit the land. 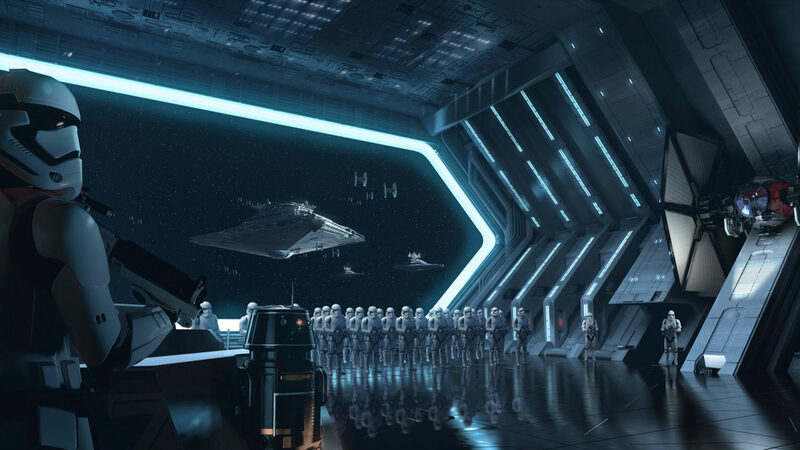 Some of the attractions in Star Wars: Galaxy’s Edge will include a ride where you will be able to pilot the Millennium Falcon. The other is one that puts you on a Star Destroyer battling against the First Order with the Resistance. We’ll be hearing about Star Wars: Galaxy’s Edge in the coming months.